5 Of The Best Resolution Journals To Help You Stay Committed To Your New Year Resolutions! 2017’s here! We wish our readers a very happy, healthy and a prosperous 2017! To help you stick to your new year resolutions, we have compiled a list of the best journals that methodically help you to stay committed to your resolutions, and also inspiring you along the way. 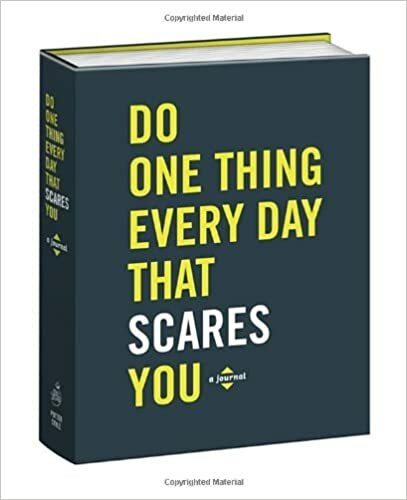 A year’s worth of fear-facing prompts and mottoes of encouragement will motivate you to jot down one thing a day and make a daily habit of thinking courageously. Each day is an opportunity to perform one small act of bravery; singing out loud, asking for help, admitting a mistake, pitching an idea, accepting a compliment, changing your hair, going for the prize, failing spectacularly and trying agin. Check it out now on Amazon! Habits are the key to all our successes and challenges in life, and there is no better way to change your habits than to track them. 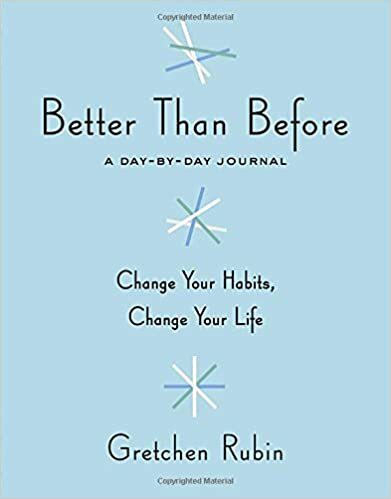 Better Than Before: A Day-by-Day Journal provides you with a year’s worth of writing prompts that help you identify habits you’d like to change and strengthen habits you wish to adopt, as well as helpful quizzes and eye-opening tips on habit formation. Each weekly entry also features “habit-tracker” to mark down specific goals both big and small. As the pages fill, you’ll discover your own unique path—a practical, concrete framework that helps you to understand your habits and to change them for good. Check it out now on Amazon! 365 days. 5 years. 1,825 moments captured. In her best-selling book The Happiness Project, Gretchen Rubin discovers the pleasure of writing just one sentence every day. 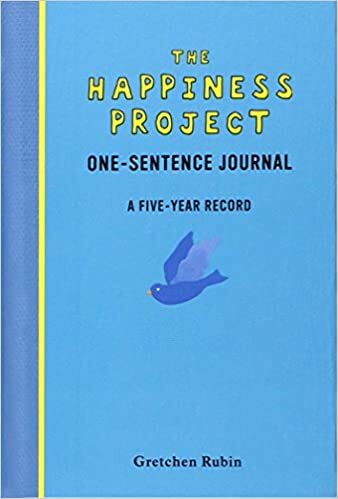 The Happiness Project One-Sentence Journal helps you to make a fascinating and revealing time capsule of the next five years of your life. Simply turn to today’s date, reflect on the quote at the top of the page, and jot down just one sentence (perhaps about something good that happened that day). This daily ritual is highly do-able and provides a striking sense of accomplishment, and as the years go by you can see how your entries evolve. Check it out now on Amazon! 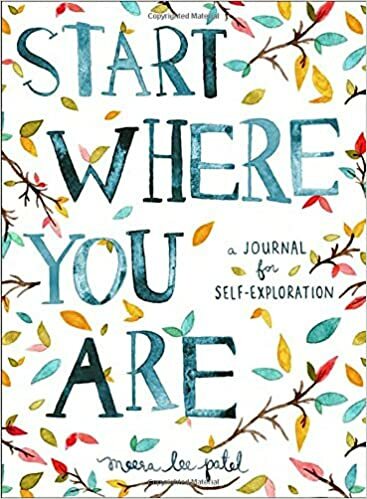 Start Where You Are is an interactive journal designed to help readers nurture their creativity, mindfulness, and self-motivation. It helps readers navigate the confusion and chaos of daily life with a simple reminder: that by taking the time to know ourselves and what those dreams are, we can appreciate the world around us and achieve our dreams. Check it out now on Amazon! Based on the popular blog series by Moorea Seal, this bestselling journal is for list lovers. 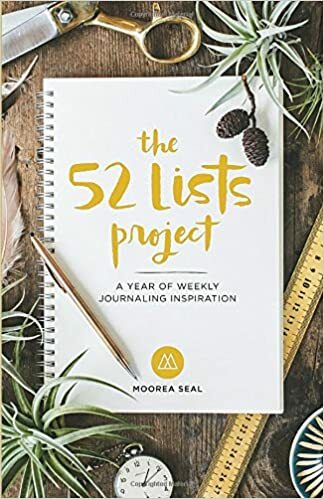 Create 52 lists, one for every week of the year, that will help you discover the beauty, joy, creativity, and power you already have! This gorgeous undated journal of weekly lists will help nurture self-expression and self-development. Each seasonal section includes list prompts, with plenty of space to write your own lists, and challenges to help you take action and make your dreams a reality. With perfectly timed prompts that meet you where you are throughout the different seasons, this journal will open up new avenues of self-knowledge and help you celebrate, enjoy, and take ownership of your life, as each week of the year becomes more thoughtful and vibrant. Check it out now on Amazon! Previous 5 Of The Best Bread Boxes To Store Your Breads Like You Mean Business! Next 5 Best Washi Masking Tapes To Tend To Your Creative Yearnings!